This guide is for you, if you already use a Content Delivery Network (CDN) to deliver your site. We will use Akamai as an example how to use wao.io with your existing CDN. We have a site that we want to optimize by using wao.io. The website is called www.makemywebsitefaster.com. The site is already configured in Akamai Ion and delivered via HTTPS. The DNS record for www.makemywebsitefaster.com points to makemywebsitefaster.edgekey.net, which is our Edge Hostname in Akamai. 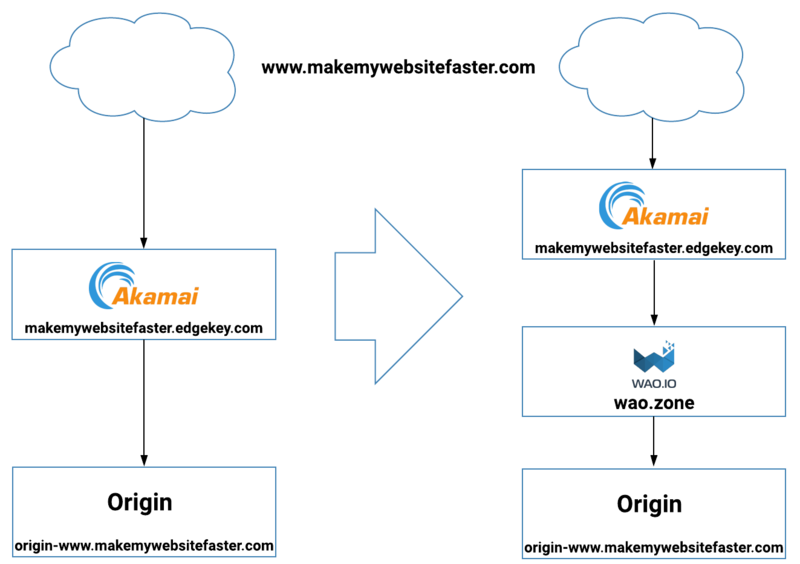 In Akamai we use the origin origin-www.makemywebsitefaster.com as the location where the website is hosted. First you need to create your site in wao.io. Just put your origin address in the Origin field as you would when configuring wao.io without a CDN. 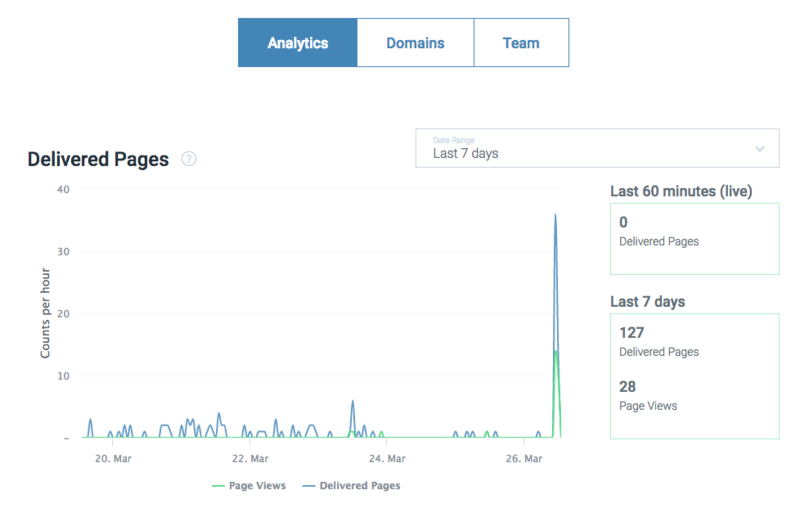 Now you can configure wao.io with the optimizations and features you want and save the domain. This is expected behaviour as the DNS record still points to Akamai and will also do so in the future. Please ignore this error when using wao.io behind a CDN. Now we have to change the origin in the CDN to point to wao.io instead of our original origin, which now serves as the origin for wao.io. You will use global.wao.zone as our new origin server. 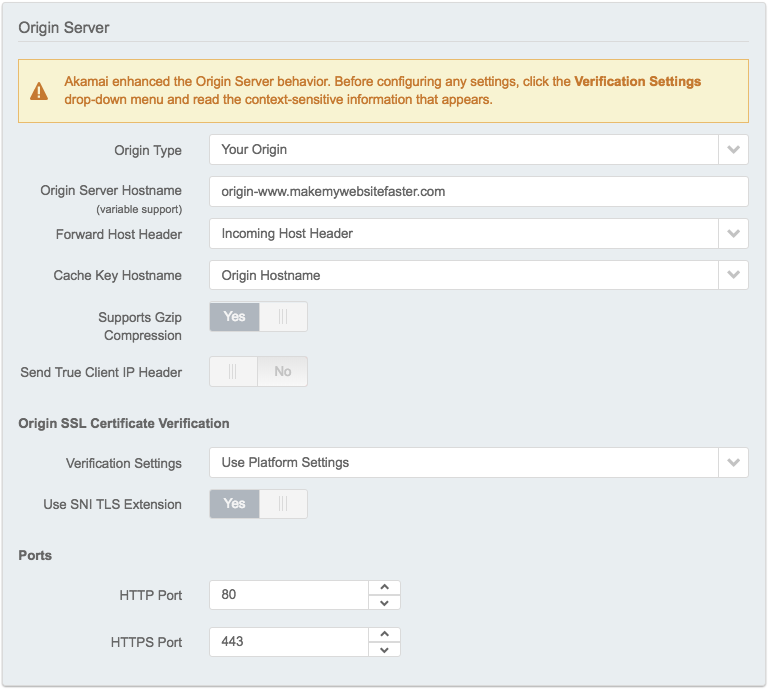 If you want to use SSL you will also have to change some of the settings regarding origin SSL verification. You can now save the new version of the configuration and deploy it to the Akamai staging environment. 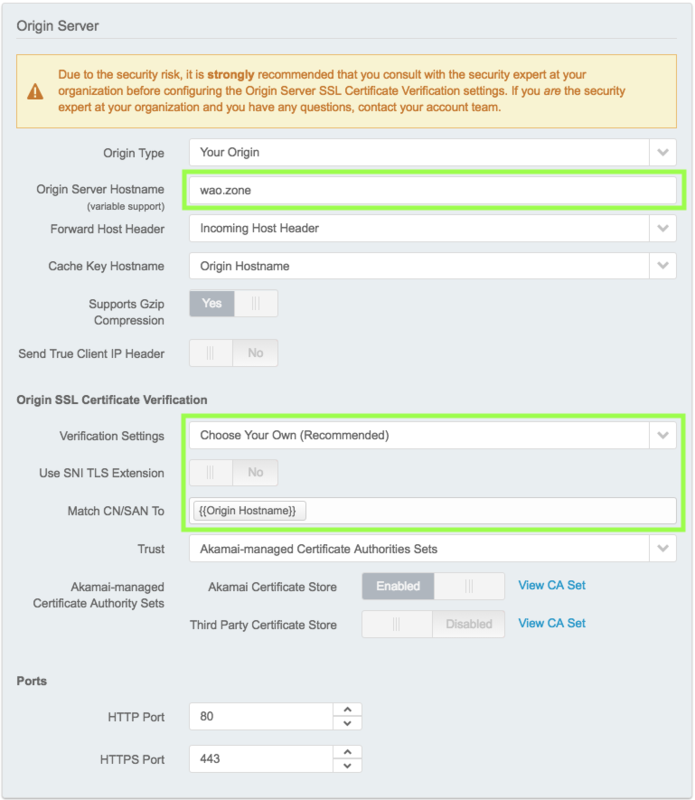 For reference how to test your configuration in the Akamai staging environment, please see this excellent guide from Akamai. 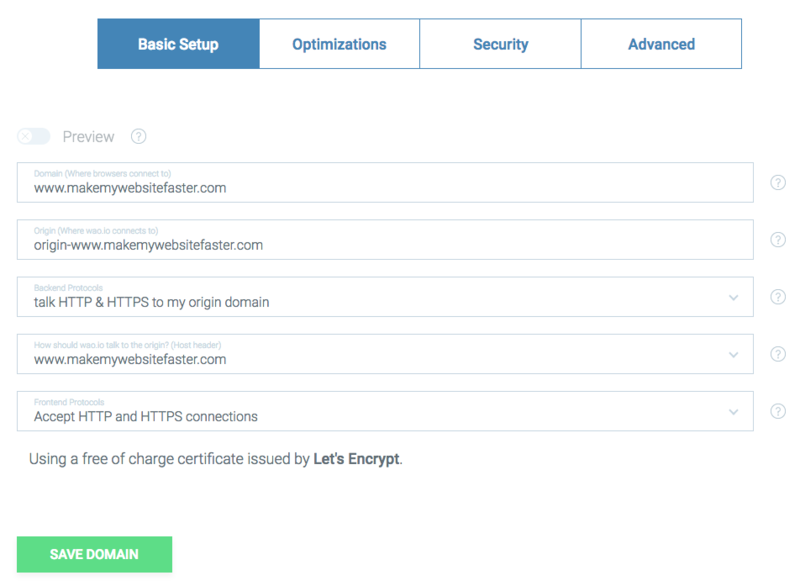 With the correct entry in your hosts file according to the documentation, you should be able to browse the website trough Akamai and wao.io. When your testing is successful, you can deploy your configuration to the Akamai production environment. Using wao.io with a CDN in front of it is easy and relatively straightforward and you should have no trouble adapting this guide to any other CDN provider. If you have any questions regarding using wao.io with the CDNs, please contact us. As there are plenty of CDN providers out there, we cannot provide detailed instructions for all of them but we are happy to help.